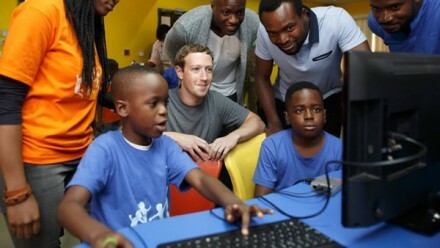 Facebook’s Founder, Mark Zuckerberg, arrived in Nigeria this week praising Nigerian talent as well as promising more African, and specifically Nigerian, languages on Facebook. On his first visit to sub-Saharan Africa, Zuckerberg has shone a bright light on the country’s tech and digital innovations. His first visit in Lagos was the Co-creation Hub Nigeria (CcHUB) in Yaba, meeting with app developers and online entrepreneurs and to learn more about Nigeria’s Start-up ecosystem. During a Q& A streamed live on Facebook on Wednesday, Zuckerberg talked about plans to make Facebook more accessible in Nigeria. He added that he was proud of recent localization into Hausa, largely spoken in northern Nigeria, on the social media platform and revealed plans to add other Nigerian languages. 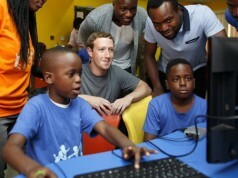 Nigeria is Facebook’s brightest hope in Africa. With usage flat-lining in their traditional heartlands the company are looking at growth abroad and Africa in particular. 16 million Nigerians use Facebook every month with 7 million logging onto the site daily. 97% of these are on mobile devices. This obviously is attractive to Facebook but it knows it can’t access this market without the right language localization.